Fly to Hokkaido directly from important Asian airports, or with just one transfer from big airports in the USA, Europe... 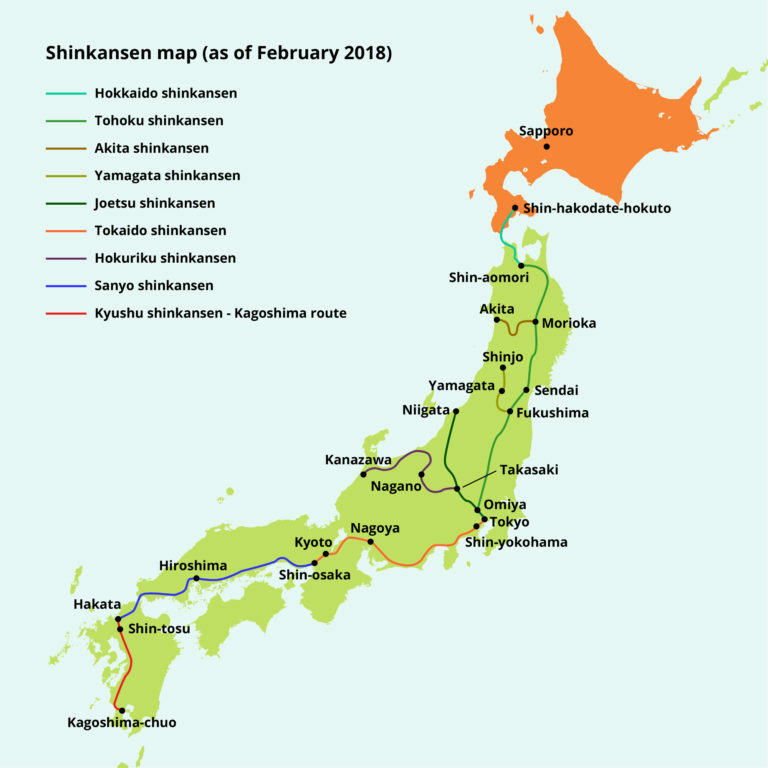 If you have plans elsewhere in Japan, you can also easily travel to Hokkaido from Tokyo, Kyoto, Osaka and a few other major Japanese cities by train or plane! Planes are much more convenient and faster than boats to access Hokkaido. 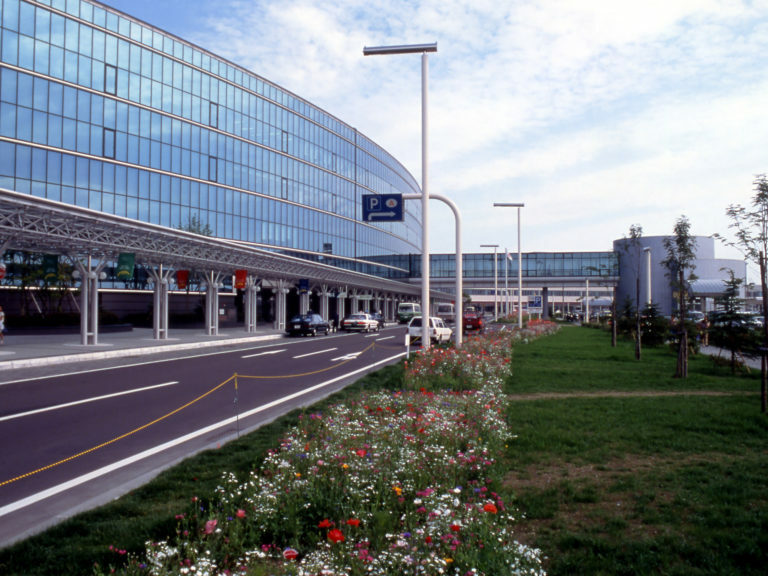 New Chitose Airport (CTS) is Hokkaido’s main international airport, located near the capital of the prefecture: Sapporo city. 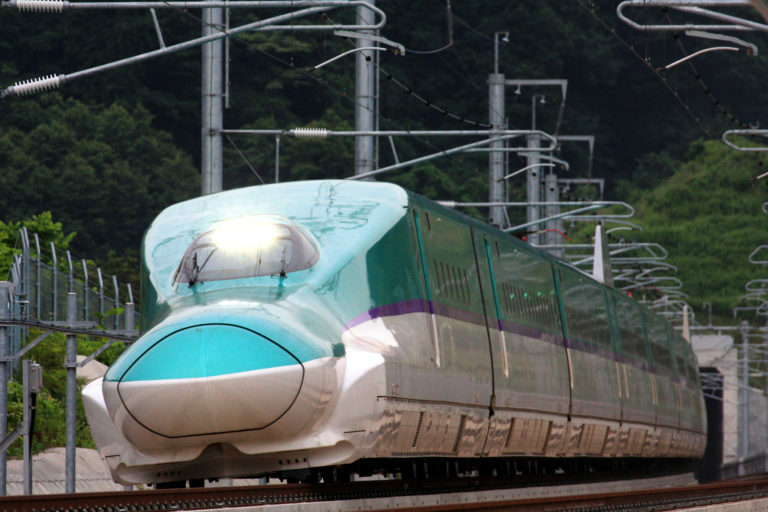 Depending on your plans after arriving, you can (1) rent a car at the airport, (2) reach Sapporo by train in 40 minutes or by bus in 80 minutes, or (3) quickly fly to a domestic airport of Hokkaido. With special offers for foreigners by ANA or JAL, you can also travel by plane to Hokkaido for 10,800 yen then inside Hokkaido for 5,400 yen. 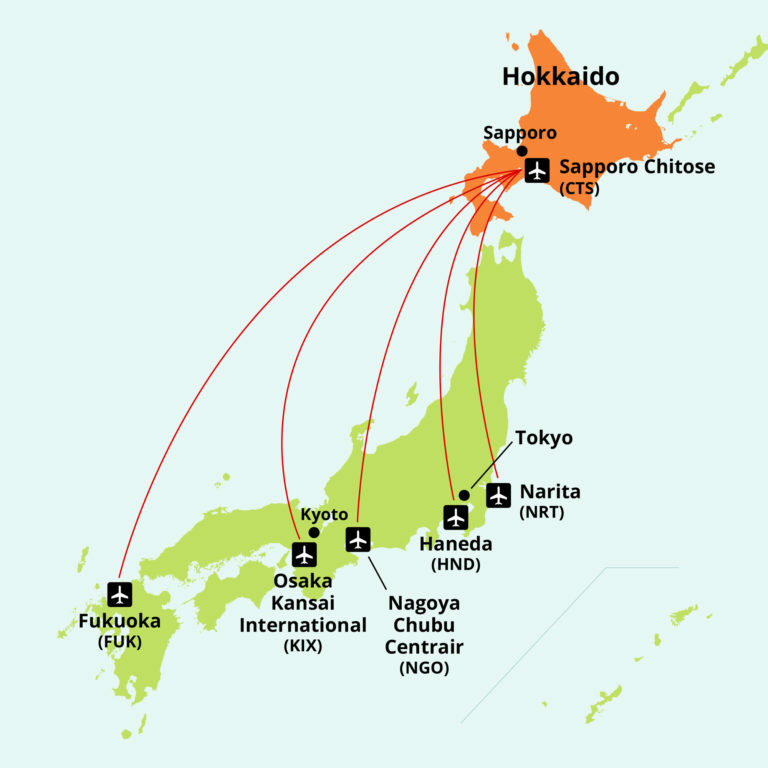 You can fly to Hokkaido from numerous Japanese airports, or arrive using the extensive network of Japanese railways. From Tokyo metropolis (TYO), you can fly from the convenient Haneda Airport (HND) or Narita International Airport (NRT) to reach Hokkaido in 1.5 hours. 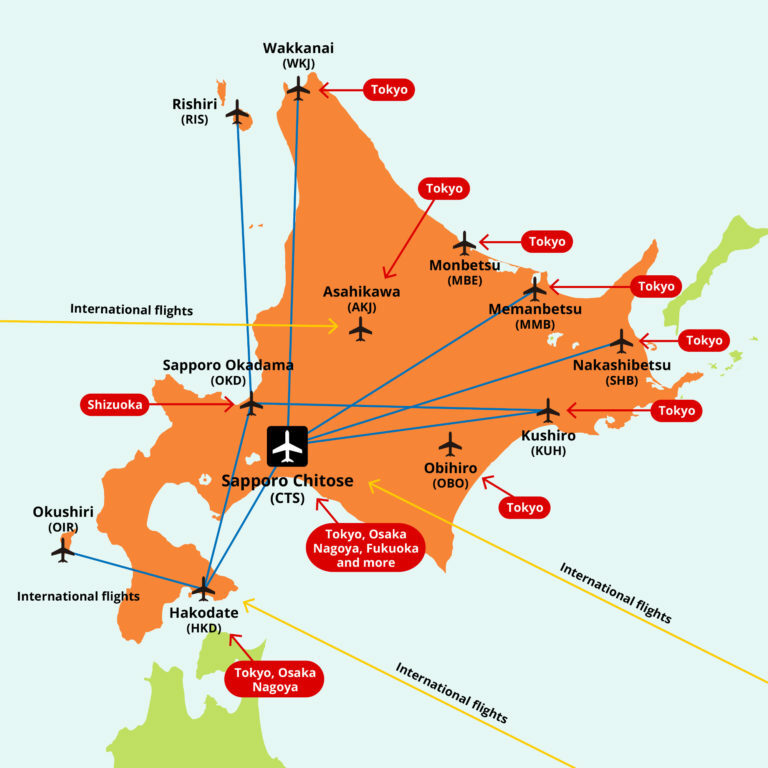 From Kyoto city or Osaka city (OSA), you can take a flight at Itami Airport (ITM) or Kansai International Airport (KIX) to reach Hokkaido in 2 hours. “LCC” low-cost carriers are there for you! 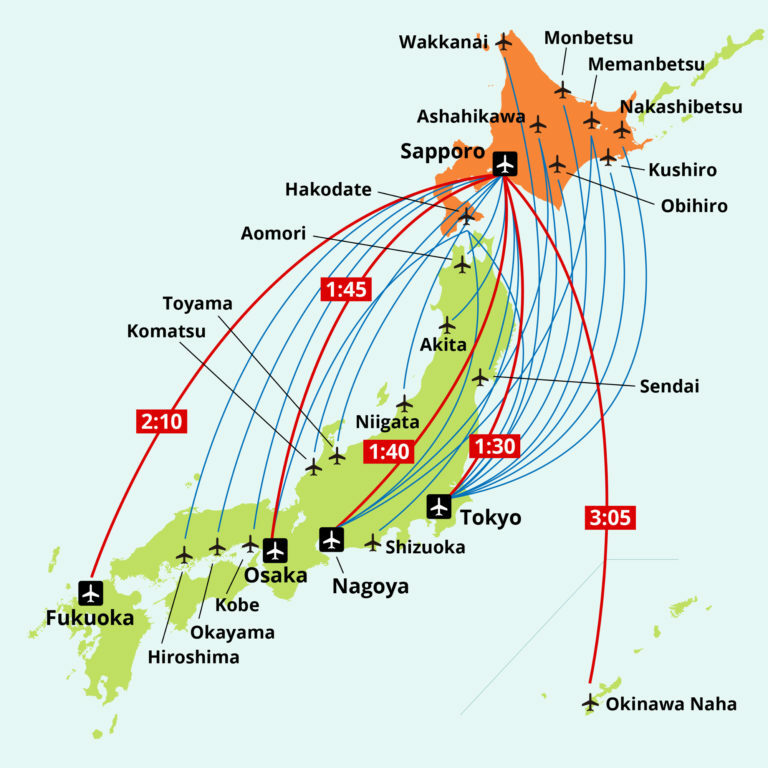 After visiting big sightseeing cities of Japan or even following the “Golden Route”, you can easily fly to Hokkaido. With a JR Pass from the Japan Railways Group, you can also travel by shinkansen “bullet” train from Hiroshima, Himeji, Osaka, Nagoya, or Tokyo, visiting cities like Sendai then reaching Hokkaido through the Seikan Tunnel, deepest and longest undersea tunnel in the world: 787 feet (240 metres) deep, 14.5 miles (23.3 kilometres) under the sea!